We are excited to launch our new partnership with Movement Climbing + Fitness in Boulder, Colorado. The collaboration was developed so we could offer a stronger pipeline to the Colorado climbing community for adults (15+) who have a physical disability. BBQ’s, movies, food, and more! You are invited to join the nationally renowned Paradox Sports community in Colorado! Who: Any adaptive athlete or person in the community who wants to be part of the adaptive climbing movement. 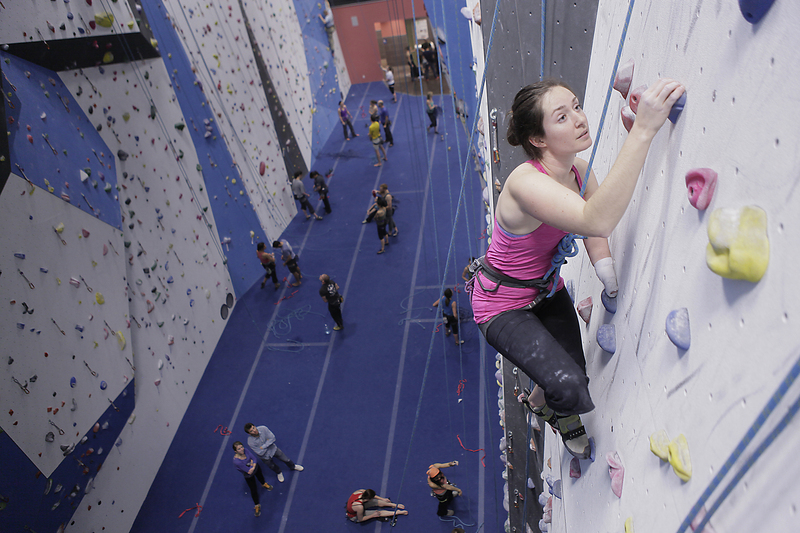 Thank you for your interest in volunteering for our Adaptive Climbing programs at Movement Climbing + Fitness in Boulder! Both longtime and new volunteers join the Paradox climbing community to help spread their love of climbing and connect with a welcoming community. Club volunteers, under the supervision of club coordinators, help welcome participants to the world of climbing by belaying, coaching, connecting as friends and generally helping to welcome adaptive athletes to the climbing community! As a volunteer, your role is to provide an enjoyable climbing experience for the participants. On a typical night, volunteers will be paired up with a participant or group of volunteers/participants to climb with. All Volunteers are required to attend a Volunteer Training before acting as a volunteer at club. There will be at least one training held each quarter throughout the year. Volunteers only need to attend one training before being permitted to volunteer. This requirement helps Paradox Sports ensure a consistent and high quality experience for everyone at climbing club. Volunteers must be checked off by the host gym and by a Paradox Sports staff member. The check-off process is a part of the volunteer training. All volunteers must complete waivers for both Movement Climbing + Fitness and Paradox Sports. Please send all club-related inquiries to Dave@paradoxsports.org. Are you an adaptive climber interested in getting involved with Paradox? Fill out the short form below and we will be in touch! Stay in the know about upcoming club nights and other social events in Colorado.